Today (September 10), LG Electronics announced the plan to sell the LG Q7 BTS edition, which contains various BTS related content. Pre-orders will run from September 13 to 19. 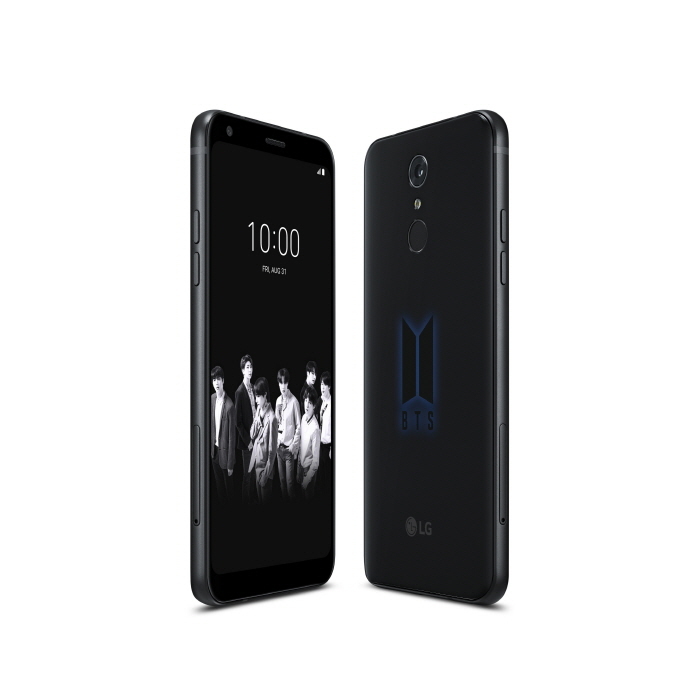 The LG Q7 BTS edition is a LG Q7 limited edition featuring BTS related content, and the smartphone will be available into the market on September 20th priced at 473.000 won (420USD). After South Korea, LG Electronics will launch the LG Q7 BTS edition in 10 different countries, including Germany, Spain, Brazil and Australia. The "Full Vision" 5.5 design with an 18: 9 aspect ratio and a thin symmetrical bezel in all directions maximises the immersive experience when watching videos. The metal frame on the edge of the product provides a sophisticated and comfortable feel. This smartphone also presents exceptional performance, durable and strong. LG Q7 has passed 14 items MIL-STD 810G, a military standard approved by the United States Department of Defence. Waterproof and dust-proof performance achieved the highest IP68 rating. Ahn Byung-deok, LG Electronics mobile marketing manager, said, "We are proud to present the extraordinary performance and design of the LG Smartphone with special features including the BTS logo, photos, etc."